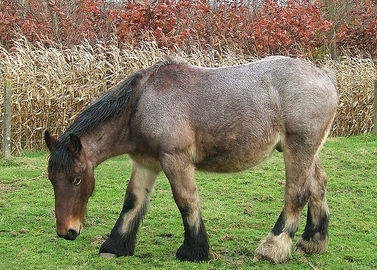 Until the 1950s, selenium was considered toxic to horses in any amount. Further research proved that selenium in the correct quantities is an essential nutrient for horses. Selenium plays an important role in the body, especially acting as an antioxidant. Its deficiency can cause among other things, muscle degeneration. The oxidation process converts fats, carbohydrates and proteins into dioxide, water and energy. However the process doesn’t always recognize whether they are meant for energy or body structure which is harmful to cell membranes, enzymes and other substances. If not destroyed, oxidation causes damage to cell function. Selenium plays a role in destroying unstable compounds produced by oxidation. Selenium deficiency can also affect thyroid function. It is thought that lack of selenium may produce hypothyroidism. Selenium may also play a part as an anti-carcinogenic. Selenium and Vitamin E work together to prevent oxidation damage. If selenium is lacking, Vitamin E takes up some of the slack. Check with your vet and the National Research Council as to the amount of selenium for the average horse. 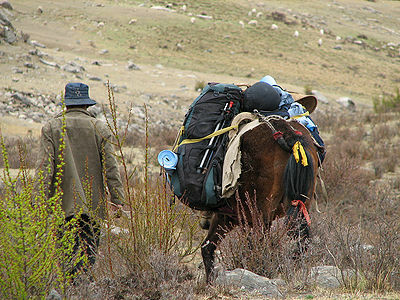 Athletic/working horses may need more than others. 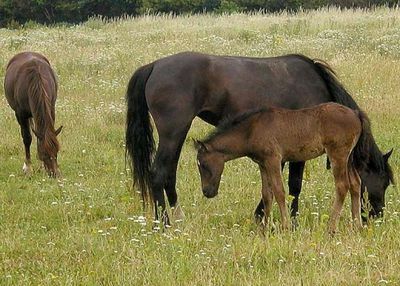 For grazing horses, remove plants such as milk vetch or woody aster as these have high concentrations of selenium which can be toxic. Excessive selenium can damage liver, heart, skeletal muscle, degeneration of bones and joints and lead to death. You can ask your vet to administer a blood test to determine if selenium supplementation is necessary. Never give your horse medication or supplements without first consulting with your vet.